Earlier today the guys over at Square Enix America gave us a pretty cool bunch of prizes to celebrate the launch of Lightning Returns: Final Fantasy XIII. Similar to our contests in the past, we’re giving folks in the USA a chance to feel some of that Lightning Returns love before the game arrives in western territories! For the next ten days you’ll be able to participate in a little quiz below – and getting all of the answers correct will result in you being entered into a prize draw to win one of several copies of FF13 or FF13-2, official strategy guides for FF13-2 – and two Lightning Play Arts figurines signed by Ali Hillis! There’s a copy of each game for both PS3 and Xbox 360 – the first names out of the hat will get first pick of what version they want. Each figure – one for both XIII and XIII-2 – will be selected for the first two winners at random with all other prize winners randomly selected based on correct answers. The contest has ended, thanks to all who have participated! Question 5 Noel’s ultimate skill, ‘Meteor Javelin’, does what? 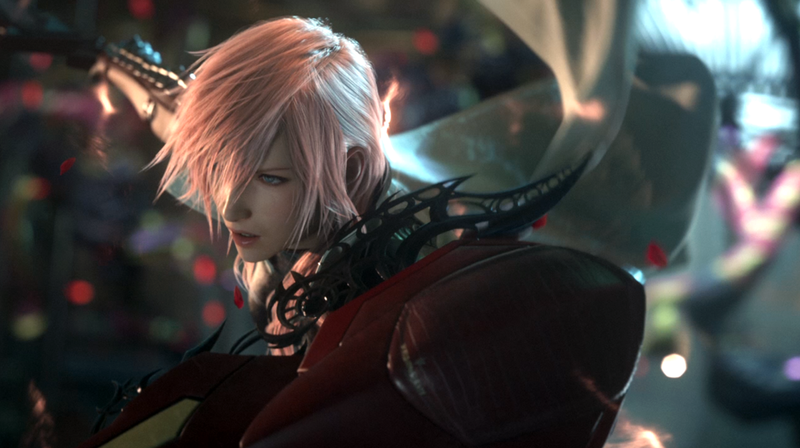 Question 6 Lightning’s ‘Improved Raise II’ passive skill comes from which weapon? The entry period is between now and February 10th. We will contact the winner via e-mail shortly after the contest has ended. If the winner does not reply within 24 hours, another winner will then be selected. This contest is open to residents of the United States only. For future Final Fantasy contests – including those for Canada and Europe – stayed tuned to Nova Crystallis and other UFF Network sites. I answered all these questions. Some were a little tricky although I paid so much attention to all XIII-related things. Well done, I think I got two or three wrong maybe, but meh. Good luck all! Yeah, but those US people need some love. You know… To get ready for the buckets more of love that they’ll be getting from SE with their collectors editions. Oh, man….I’m not from murica! Thanks for holding the contest, this is pretty neat. T_T US only again =(. But nice questions and good luck to all who can take part in this. Well, I suppose I’m happy to be ‘Merican. I’d much rather have one of those Lightning Returns-branded PS3s (from the CE giveaway contest), but of course, I’d love to win something from this just as well. Luckily for me, I cherish the stories of all FF games, so the questions were relatively easy. Had to turn on FF13 for question 6. I think I got ’em all. My memory is better than I thought it was. Enjoyable quiz! A couple of tricky once where it comes down to the interpretation of the question/answer, but we’ll see. Thanks! That question is driving me nuts at the moment. I’ve re-watched the cutscenes relating to it and combed the datalog, yet I’m still unsure of which answer to choose. That was intended to be the most difficult question, because it is something people get wrong quite often. That is, of course, the most I can say on the subject but I hope you both got it right! I’m sorry, I wish we could make the contest available internationally. Please be understanding. I wanted to put chaos since ‘technically’ it was the chaos that dragged her in, however from the other point of view it was through Etro that the chaos brought Lightning to Valhalla. So yeah. I put Etro. Etro chose Lightning, the chaos didn’t choose Lightning. It really depends on how you interpret the question. delete this comment if you want to since it could give away the answer. Will we get to see what were the actual right answers when the quiz ends? Is there any reason why the contest cant be international? Is it to do with shipping costs or just because that’s the rules? Shipping costs ARE pretty crazy, but as far as I know SE set the rules on that stuff. Kinda reminds me of the Amadar quizzes in XIII-2, except without all the troll questions. blue * punches in the face*. that’s what I wanted to do every time he would ask one of those questions, especially when I was on the final question and got it wrong. Those were the worst! I tried to complete the Brain Blast quizzes honestly at first, but they were so aggravating because of those types of questions. Erren, I do not live in the US but I have a postal address in the US with some company that ships any of my US purchases from that address to my home. Can I still be eligible for the contest? Those questions are brutal man. I kind of lost interest finding them 1/2 way through so hopefully crossing mah fingers XD But how would anyone know the stuff (and not get spoiled) if they’re trying to win the games to play them ? o well it’s nice of you all to do it. Will you reveal the answers tomorrow? It would be nice to know how some of these questions were to be interpreted and it could lead to some interesting discussions about the mythology of the series. Have the winners of the contest already been contacted?